Six in ten YouTube subscribers would follow advice on what to buy from their favourite YouTube creator over their favourite TV or movie personality. This stat, taken from The YouTube Generation Study, reinforces the fact that - when it comes to ecommerce marketing - social influencers now reign supreme. But it’s not just established social media sensations such as beauty vloggers Zoella and Tanya Burr that can influence modern consumers’ buying habits - pretty much anyone with an internet connection can. According to Bazaarvoice, 86% of millennials say that user-generated content (UGC) is generally a good indicator of the quality of a brand or service. So, if your brand is still relying solely on traditional celebrity endorsements to sell its products, you’re probably selling yourself short . Here are four effective ways your brand can promote any form of content that has been created by users and influencers. Let us know how you get on @OmetriaData! Your website is the perfect place to house any customer testimonials or reviews crafted by social influencers. MADE.com is a good example of how this can be done. On its website, the furniture company has a page devoted to customer reviews - also referred to as “real inspiration”. But that’s not all. The brand’s website also has a category labelled “Unboxed”, where customers can share photos of their purchases and interior style to hopefully inspire others. 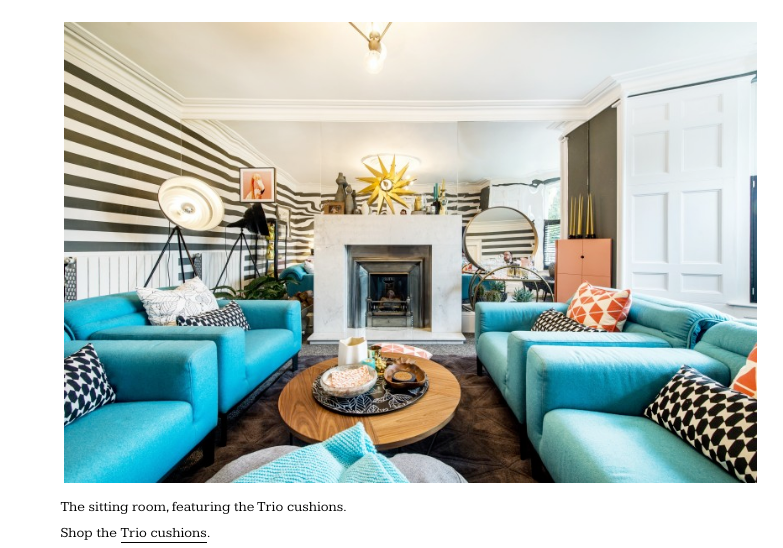 And then there’s the MADE blog, where the company interviews existing customers about their interior style, giving new prospects the opportunity to see how a piece of furniture actually looks inside a real home. Cleverly, MADE gives a reader the opportunity to ‘shop’ certain items displayed in the blog’s photographs, in case it has taken their fancy. Another brand to make the most of UGC on its website is the American online retailer of vintage-inspired fashion ModCloth. 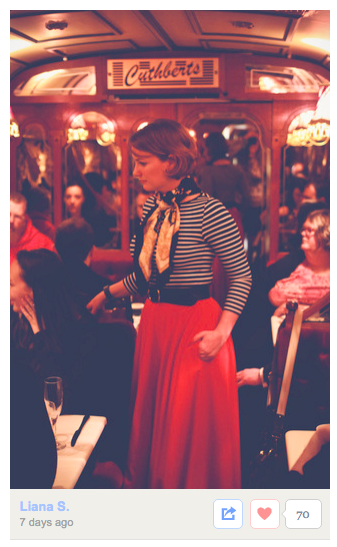 Let’s start with the brand’s well laid-out Style Gallery - also labelled as Outfit Photos. Designed to “showcase all the expressive, creative and inspirational personalities” of the brand’s communities, the gallery enables customers and browsers to “view, love and share” outfit photos. Through it, users can also either purchase an item pictured in a photograph or choose to browse at “similar items” available. Linked to the gallery is the brand’s blog. 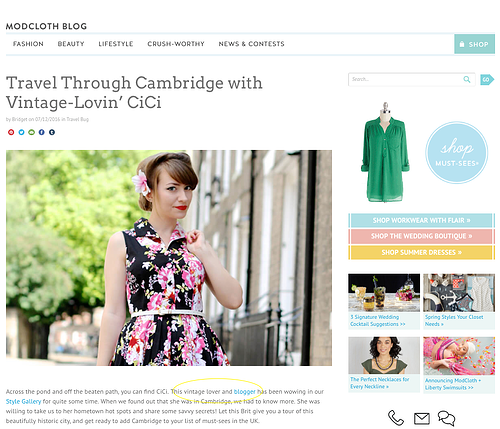 Like MADE.COM, ModCloth uses its blog to promote content by its loyal customers. For example, a recent blog post features a renowned blogger, CiCi Marie, who has featured in the brand’s Style Gallery numerous times. If you are tempted to purchase an item available on the ModCloth website, you’re given the opportunity to look at the product on other customers and read their reviews before hitting “add to basket”. This is a unique way for potential customers to learn more about the product from an unbiased point of view and hopefully incentivize them to click and buy. 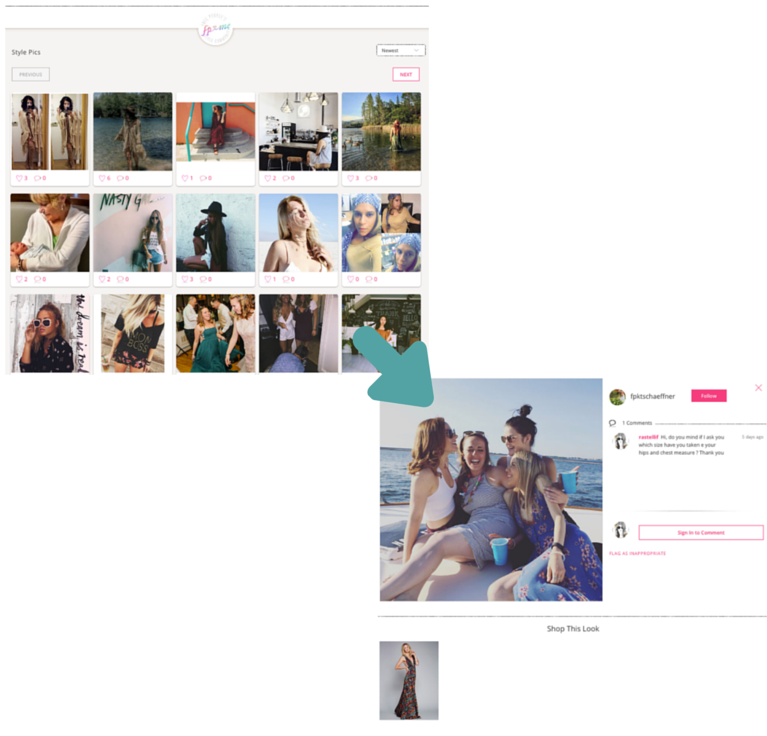 Similarly, fashion brand Free People has a section of its website - FP Me - that encourages users to create their own profiles, upload pictures of them sporting Free People clothes, and amass likes and a following. What's more, each image is directly shoppable within the Free People store. It’s all well and good having awesome influencer and user-generated content on your website, but how do you actually get your subscribers to your website? There are a number of innovative, creative brands currently making the most of user-generated content to create brilliant newsletters. Take Everlane, for example. The online clothing retailer runs a campaign encouraging its customers to share pictures of its products on social media using the hashtag “FromThePeople”. The images shared under this hashtag are then used within the brand's email marketing. This not only enables recipients to see items they might have their eye on in action, but also prompt them to check-out the Everlane's Instagram profile and start following. Unlike website content and email strategy, social media has the ability to use influencer and user-generated content to attract the attention (and affection) of people who have never heard of your brand. One brand that uses social media to encourage and promote user-generated content is superfood chocolatiers Doisy & Dam. When you open a bar of the brand’s chocolate, you’re given a little note asking you to “Tweet or Instagram @doisyanddam a selfie with your bar of choc” and include the hashtag #superdelicious for a chance to win their weekly superfood choc giveaway. This social media campaign has resulted in snaps of people happily enjoying the chocolate bars across the globe, which can in-turn be reposted and used by the brand in their marketing. 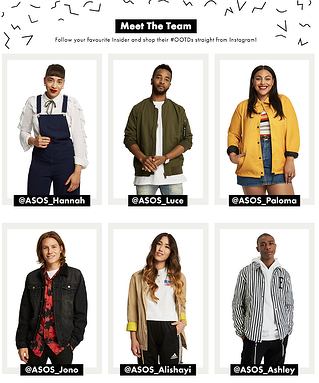 Another great example of influencer-led social strategy is ASOS's 'Insiders'. ASOS has built a dreamteam of fashion and beauty influencers, each of whom have their own Instagram accounts where they share updates (incorporating ASOS products, of course), and who amass tens of thousands of followers each. As explored above, the Everlane team have an enviable social media strategy designed not only to inspire its existing followers but also spread the word and introduce new people to the brand by promoting its products in an organic, fun way. 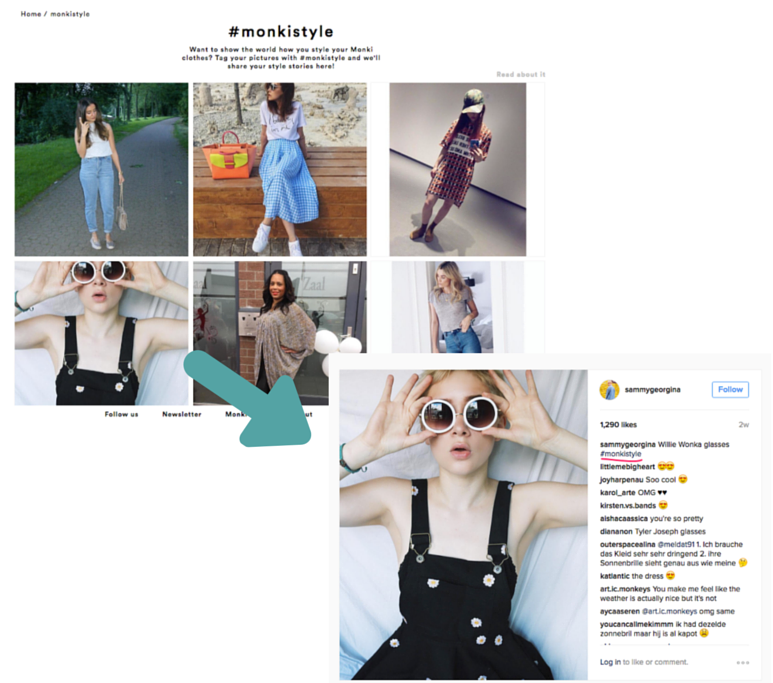 Like Free People above, fashion brand Monki encourages shoppers to share their snaps on Instagram with the hashtag '#monkistyle. This serves as great social proof that it displays in a dedicated section of its website, but also provides a brilliant word-of-mouth marketing on Instagram to boot. There's a reason we mentioned famous YouTubers Zoella and Tanya Burr at the start of this blog post. Today, it has been reported that the total number of people who use YouTube amounts to a whopping 1,300,000,000. Moreover, almost 5 billion videos are watched on Youtube every single day. In other words, YouTube has the potential to be a gold mine of user-generated content. YouTube is also an excellent medium for sharing influencer content - chef/Instagram icon Tess Ward's videos for Comté Cheese are a good case in point. We hope this blog post demonstrates the importance of not letting good quality UGC slip through your fingers. If it's out there, promote it! 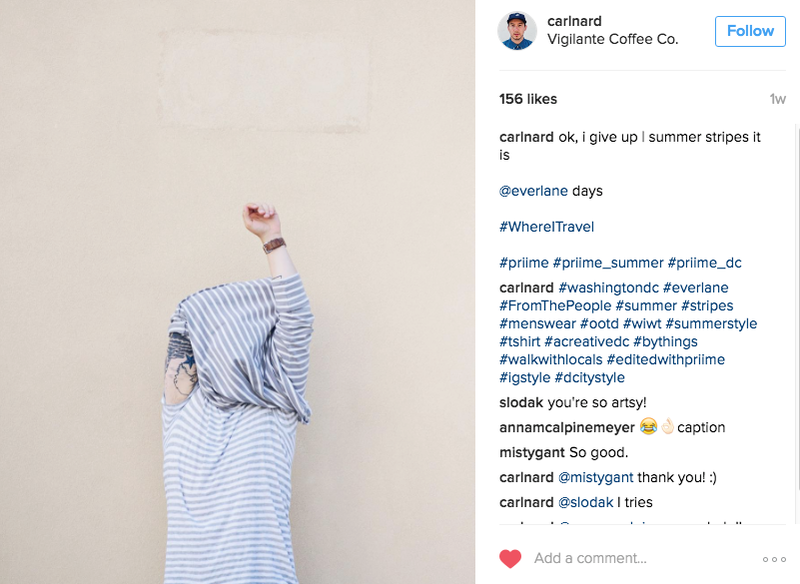 If you're struggling to generate good UGC in the first place, try reaching out to your customers and followers, as well as leading social influencers. According to Aimia, almost half (44%) of millennials are willing to promote products or services through social media in exchange for rewards - so don't miss out!